In early April, the NRA Annual Meeting & Exhibits came around again, so we packed up and trekked down to the warmth of Nashville, Tennessee – yes, a welcome change from what seemed like an endless Winter in Maine! Nashville is alive and filled with music – with almost as many places to buy cowboy boots as there are to appreciate live music! Windham Weaponry set up camp at the Music City Center and we enjoyed meeting many of the approximately 70,000 visitors to what was billed as “9 Acres of Guns & Gear”. With 550 exhibitors, one had to put a lot of miles on the boots to see it all, but as always, its a great event. So if you didn’t make it this year, plan ahead for next year’s show in Louisville, KY, May 20th – 22nd. Don’t miss our Spring Celebration! 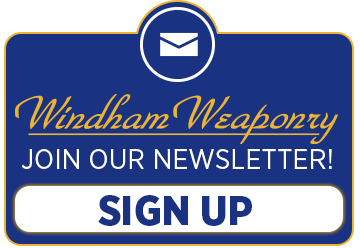 We’ve reduced prices on all our Windham Weaponry branded gear so you can look good at the range or wherever you roll. The easiest way to tell if your gas rings are in need of replacement is if you extend the bolt out of the carrier as far as it will go and place it like so on a table. If the carrier falls down over the bolt under its own weight like this, the rings are worn out and need to be replaced. To replace them simply take the carrier apart as described in the Rifle Disassembly, Cleanin and Maintenance section of your owner’s manual. Use the tip of a razor knife to pluck the rings out of the slot in the bolt, and just chase them around with the blade until they all pop out. Then take your new rings and with your fingers chase them around the slot until they are all in place. Separate the breaks in the rings so they are not all in line. With the new rings in place the carrier should no longer fall over the bolt under its own weight and you are good for several hundred more rounds. I would like to install a free floating handguard on my Windham rifle. Can I have it installed by a Windham Weaponry gunsmith? Should you wish to install a free float handguard that we carry, you can send your upper to us and we will install it for you. Please give us a call to set up a return authorization for you to send in the upper. We do not charge labor/gunsmithing on parts you purchase from us. If you already have a handguard that you wish to use, we would install it for you at our Gunsmithing labor rate. Please give us a call to discuss what parts you have and we can give you a cost estimate and set up a return authorization to ship the handguard and upper to us for the installation. I purchased my rifle a while back and just wanted to thank you for building such a high quality weapon. My son and a few of my friends have built and/or bought “custom” AR platform rifles – some at considerable expense – and not one of them perform like my Windham. They hate me. Thank you. I purchased the SRC-CF1 as a Christmas present to myself. I chose this model after extensive research into your company as well as your competitors. As this is my first AR platform rifle, I didn’t know if it would be a fit for me so I didn’t want to invest $1000+ in a rifle (I’m used to shotguns and traditional hunting rifles) that I may not find comfortable to shoot. I’ll say it, I was completely wrong. I have enjoyed every round and unfortunately can’t send more down range. It is smooth and functions flawlessly. The only issue with this weapon is the person behind it. I know that many feel that there should be a break in period. I, for one, feel that if it’s going to break, it’s going to be at the beginning. So I picked it up from my FFL and went directly to the range where I put 120 rounds through it without a single issue. I had numerous friends tell me that I shouldn’t have purchased this weapon (new manuf. etc, etc, etc), and that they could get me a deal on another brand which was “much better”. As I stated, I did my research and purchased this weapon based on what I discovered. To those friends I say: “you chose wrong”. I have no intention of purchasing another weapon from any other manufacturer. Once my Industry changes and I have opportunity, the SRC-308 and MPC are on my radar. I just bought a new CDI and it is so beautiful I hate to shoot it!! I bought from Buds Gun Shop online and have registered the warranty. I researched this purchase for many hours and waited 3 years to find the right AR for me, and the CDI was it. I commend you for your sterling business practices, being USA made, and doing all to the highest standards, a powerful example to what a USA manufacturer can accomplish when they truly desire too. I hope to buy your 308 soon, but am waiting for it to be available with a Magpul stock. length of a standard magazine release button but also accommodates left-handed shooters and one-handed magazine changes. This magazine release is constructed of rugged machined billet tool steel, finished in Black Manganese Phosphate, and is designed to replace the standard magazine release. Patent pending by Troy Industries. Made in the U.S.A.
April has been another very busy month here at Windham Weaponry. 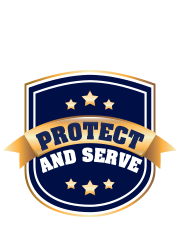 This year was my first time attending the TTPOA Conference (Texas Tactical Police Officers Association) and it was just awesome. I had the chance to meet some great folks from so many departments from TX and some of the surrounding states. During the show I raffled off a complete Upper Receiver Assembly and Magazine in our new 7.62x39mm caliber, and the winner was Rod Simington from Tyler PD in Tyler, TX. CONGRATULATIONS my friend! You can bet that I will be back to TTPOA next year for sure. I would also like to thank my good friend, Greg Lee, retired firearms instructor for Metro Nashville PD, for taking me around the Metro Nashville PD Training Academy. What an experience to meet some great instructors and to see them in action as they were on day two of firearms training and they had over 50 cadets in the class. Dave is a member of Windham Weaponry’s Quality Control team. He joined Windham Weaponry starting out in the Production Department, and when the opportunity to join the QC department arose, Dave was happy to take the opportunity to add to his knowledge and skills. He very much enjoys learning the technical aspects of what goes into the quality standards of every Windham Weaponry rifle, from reading prints to gauging and inspection and everything in between. He previously worked at Bushmaster in Production from 2009 until the company closed in 2011. Dave enjoys carpentry, masonry and landscaping. He and his wife, Marge, live in Raymond, Maine, and enjoy spending time with their pets and volunteering in their community.